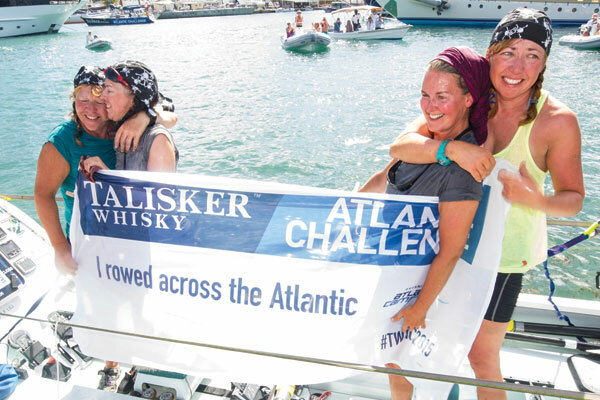 The Talisker Whisky Atlantic Challenge is touted as "The World's Toughest Row" for a reason. It is 3,000 nautical mile journey across the Atlantic Ocean in a rowboat. But some daring people choose to cross the Atlantic to test the limit of their physical and mental strength; to achieve something un-thinkable. One team in particular, Yorkshire Rows, 4 working mothers from Yorkshire, England came to our (Glidecoat’s) attention - Janette Benaddi, 51, Helen Butters, 45, Niki Doeg, 44 and Frances Davies, 47. There is however, one more member of the family and an integral member of the Yorkshire team - their Rannoch 45, 'Rose'. The 28-foot vessel endured 30-foot swells, a hurricane and a host of other technical difficulties - yet she reached the end of the challenge pretty much unscathed. This is in a large part due to Glidecoat. The Talisker Whiskey Challenge is an incredible feat. Not just for the rowers, but for the boat as well. Unlike larger vessels crossing the Atlantic, 'Rose' travels at 1-3 knots rowing. This speed makes it possible for marine growth to easily attach themselves to the hull. The women in the Yorkshire Rows were reluctant to have to get into the frigid February mid-Atlantic waters (32°F on average) to scrub barnacles and other marine growth from the boat. Beyond the temperature, the rough weather, swells and marine life make this a very dangerous process. Yet keeping the boat clean is a critical task, which if left undone, could markedly slow down the boat. Image of another competing boat, 'Salty Dog', after finishing the Talisker Whiskey Challenge. 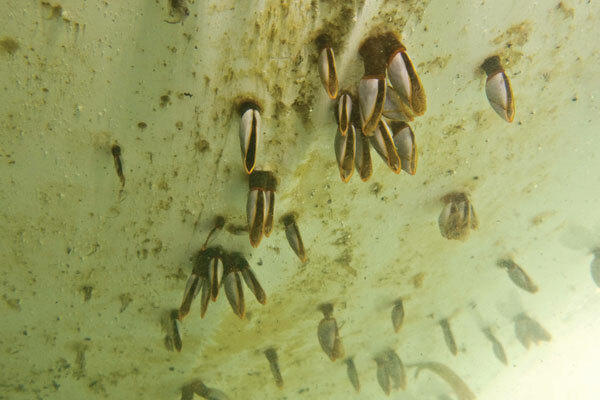 This underwater shot shows the type of marine growth that occurs, even with multiple cleanings. Image of another competing boat, 'Salty Dog', after finishing the Talisker Whiskey Challenge. There is visible salt above the waterline. We heard the Yorkshire Rows team were talking about their upcoming trip and were concerned about getting into the water for the necessary cleanings during the challenge. They are truly an incredible group of women and we knew that we had to help. The Glidecoat Professional Coating is a four stage process completed by our certified applicators in a controlled environment. Because 'Rose' was a new boat, it didn't require any restoration, but we wash & prep the surface, followed by a contaminent removal process prior to applying the coating. In addition all fabric, seats and sleeping gear was treated with Glidecoat’s Smart Fabric Protecto to protect it from water and to also add an anti-bacterial element given the very close living quarters. The Yorkshire Rows boat, nicknamed Rose, at the Glidecoat Facility in Earls Colne, Essex, UK, where it was completely coated. We were meant to clean every two weeks. I think because of the Glidecoat that probably kept us going longer, because we didn’t have the opportunity to clean it. And the salt buildup, we just didn’t have that in the boat. Glidecoat was unbelievable. The result was a boat that traveled 3,000 nautical miles, through a hurricane, 30 foot waves and a rogue school of flying fish and still shines like new. 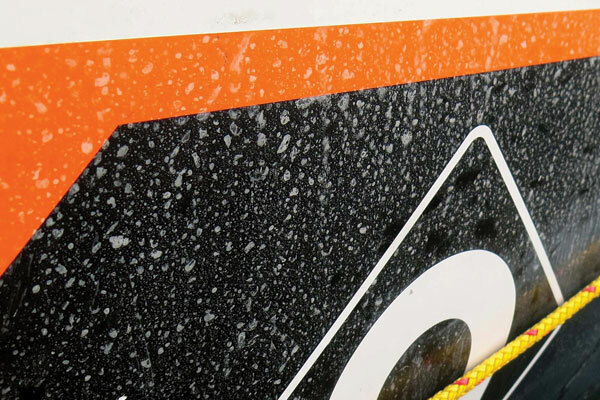 There is absolutely zero salt build-up on the boat and very minimal marine growth. The team only required one cleaning during the entire trip, while most other crews needed 8 or 9. The Talisker Challenge may be 'The World's Toughest Row' but you would never know, by looking at 'Rose'. For more information on the the Talisker Whiskey Challenge, please visit: https://www.taliskerwhiskyatlanticchallenge.com. Or to learn more about the Yorkshire Rows team, please visit their site: http://www.yorkshirerows.com/. The Yorkshire Rows team proudly beaming after completing the challenge. Rose, after completing the challenge. No salt to be seen.